Brothers and Sisters of Japan: Health and strength and survival for the people of Fukushima and surrounding regions. As we survey the long and terrible history of nuclear disasters afflicting Japan, we note that none of these were natural, and all of these were intentional. One was acts of war as seen in Hiroshima and Nagasaki as when the U.S. dropped A-bombs on Japan. The other, of course, was the installation, construction, and faulty maintenance of nuclear power plants in a region known as prone to earthquakes. In a sense, these defective nuclear power plants were a kind of capitalism bomb of Fukushima, for these structures are often built by government grants for private profits and then, when they fail, they destroy everything within miles, even at a molecular level. We should recognize that shortly after the disaster at Fukushima, Germany announced it would shutter its own nuclear power plants – all of them. What does that tell you? Until that happens globally, we will see many more Fukushimas. Thank you very much. 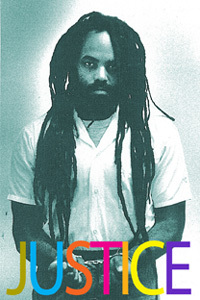 From death row, this is Mumia Abu-Jamal.